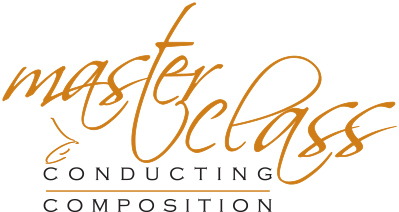 This event gives participants the opportunity to hone and perfect their skills in either conducting or composition with master clinicians, Dr. William Payn and Sondra Tucker. Attend as a Conductor or a Ringer-Observer. Each conducting participant will be assigned one piece to learn and conduct under Dr. Payn’s tutelage. Participating conducting students and ringer-observers will form the choir that each will lead. The event concludes with a final showcase concert where each conducting student will present their piece for an audience. Not quite ready to step to the podium? Then participate as a Ringer-Observer. You will ring for the student conductors and watch Dr. Payn work first hand. For those who wish to participate as conductors, an application is required before acceptance to the event. The application requires candidates to provide a link to a video of them conducting. The video should show a full body view (head to toe) of the applicant facing the camera while conducting two selections of contrasting styles. The application will also request information about each candidate’s music education and handbell experience. Ringer/-Observers do not need to submit an advance application – just proceed to registration. Up to six composers will have the opportunity to work one-on-one with Sondra Tucker to hone their skills in composing and arranging. Students will have access to keyboards and ample time to work on compositions. There will also be opportunities for group discussion and collaboration. Registration will be on a first-come-first-served basis. Each registrant will be asked to provide basic information about their background in composing and arranging and should have at least one composition/arrangement in process when arriving at the event. From the login welcome screen, follow the link to the Conducting Application. Answer all the questions on the application. Include a link to a RECENT (made within the last 6 months) video on YouTube of you conducting two pieces of contrasting styles. The camera taking the video should be placed above and behind the ringing choir so that it captures a full-body view of the conductor facing the camera. Load the video to YouTube as “unlisted” and provide the link in the space indicated on the application form. Videos not following these requirements could result in your application being disqualified from consideration. Note: You cannot save and return to the application, so please have the video uploaded and link available BEFORE you begin the application. Submit the completed application by 5:00 PM Eastern on April 3, 2017. After the deadline, all applications will be reviewed and successful candidates will be selected based on the merit of their application and video submission. Those selected will be provided with the link to register for the event as a conductor. NO CONDUCTING CANDIDATES SHOULD REGISTER FOR THE EVENT BEFORE THEY ARE OFFICIALLY ACCEPTED. Register for both National Seminar and Master Class and receive a 10% discount on your Master Class registration. Complete your National Seminar registration first to receive the discount for Master Class. Cancellation policy: A full refund, minus a $150 administrative charge, will be issued for cancellations made prior to June 15, 2018 Cancellations made after June 18, will be given a full refund minus a $150 administrative charge, if the reserved space can be filled by someone on the waiting list. If the reserved space cannot be filled, no refund will be given.